What is PluraCoin? PluraCoin [PLURA] is a cryptocurrency. A cryptocurrency (or crypto currency) is a digital asset designed to work as a medium of exchange that uses cryptography to secure its transactions, to control the creation of additional units, and to verify the transfer of assets. Cryptocurrencies are a type of digital currencies, alternative currencies and virtual currencies. Cryptocurrencies use decentralized control as opposed to centralized electronic money and central banking systems. The decentralized control of each cryptocurrency works through a blockchain, which is a public transaction database, functioning as a distributed ledger. 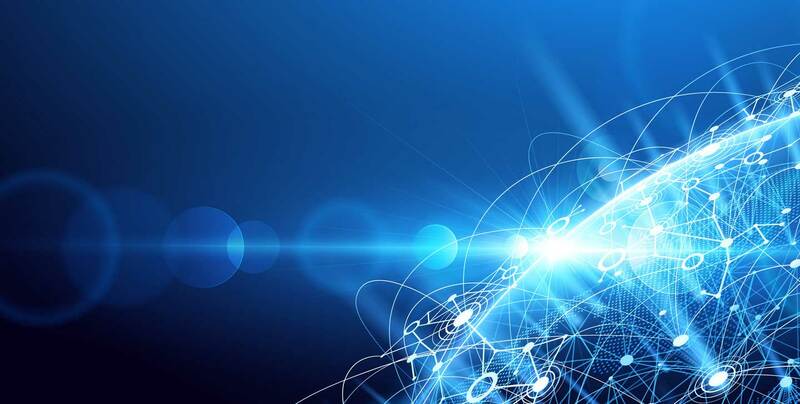 PluraCoin will have distribute 1 bilion (1,000,000,000) coins during its emission and will then continue with tail emission 100 PLURA per each block to support network operations. 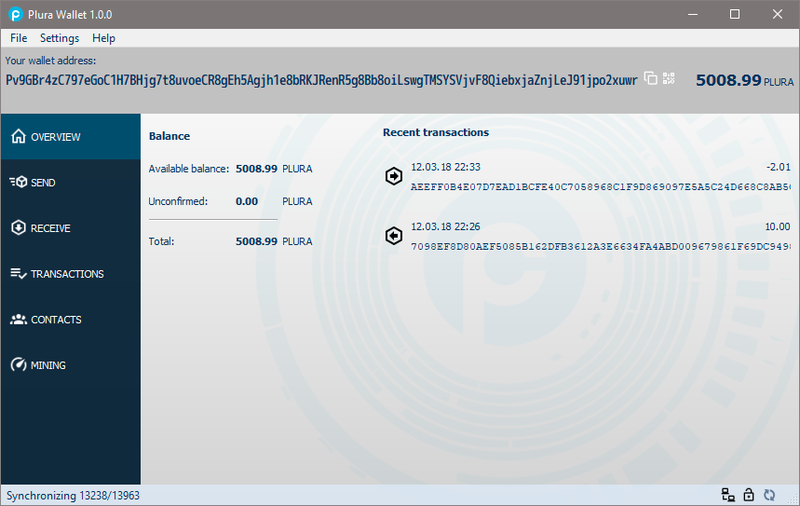 PLURA is the unit of PluraCoin. You can have 1000 PLURA or 0.75 PLURA etc. It's similar to other cryptocurrencies like Bitcoin (BTC), Ethereum (ETH) and so on. It is also used by exchanges as a short name for PluraCoin. It has 10 decimal points so you can send much lower amounts than 1 PLURA. It is useful for smaller payments. Each transaction in the system pays very small transaction fee 0.01 PLURA. A personal wallet holds you PLURA coins. It's similar to your bank account number in the real world but in the cryptocurrency world you are the only person who is responsible. But you need to create your own wallet address. Download wallet from the links below. Pick the version according to your operating system (32-bit or 64-bit). You can choose from desktop application or command line version of the wallet. Donwload the zip file and unzip it somewhere to your computer. Your desktop location is fine too. Notice: Your antivirus may report virus activity. This is a false alarm caused by mining software (software to get coins from network) that is a standard part of the PluraCoin wallet. Antivirus software reports this because some evil hackers run similar software on victim's computers and have profit for that. Problems: In case of some error during the wallet startup please make sure your Windows have all the latest updates installed or you can optionally install Microsoft Visual C++ 2015 Redistributable pack that contains all the libraries neeed to run PluraCoin wallet. Just pick the 32 or 64 bit version of the libraries. Do you need help? Join us at Discord and for live help. You can alternatively create so called "paper wallet" or "offline wallet". Copy or print this page and store it in a secure location. If you need for some reason another wallet address just reload the page. All your transactions and wallet balance are safely stored in the network blockchain and could be restored anytime into your desktop wallet. Wallet address is a public information that is used for your incoming or outgoing transactions. This means you can give this address to people who want to send you some coins. Mnemonic seed consists of 25 words that are used for emergency recovery access of your wallet. Even if you loose your wallet address or private keys (see below) you will be able to completely restore your wallet with all your funds from your network. It is important to treat these words like password or PIN - keep them in a secure place! Private keys are the raw keys from which is your wallet created. They can be also used to recreate your lost wallet. Keep them also on safe place. - offline/paper wallet could be used like desktop wallet but without ability to send/withdraw money. - You are responsible for your coins and for the access information to your wallet. Treat it like a real money. Because they are. - When you loose your wallet, mnemonic seeds and private keys your wallet cannot be restored in any way. 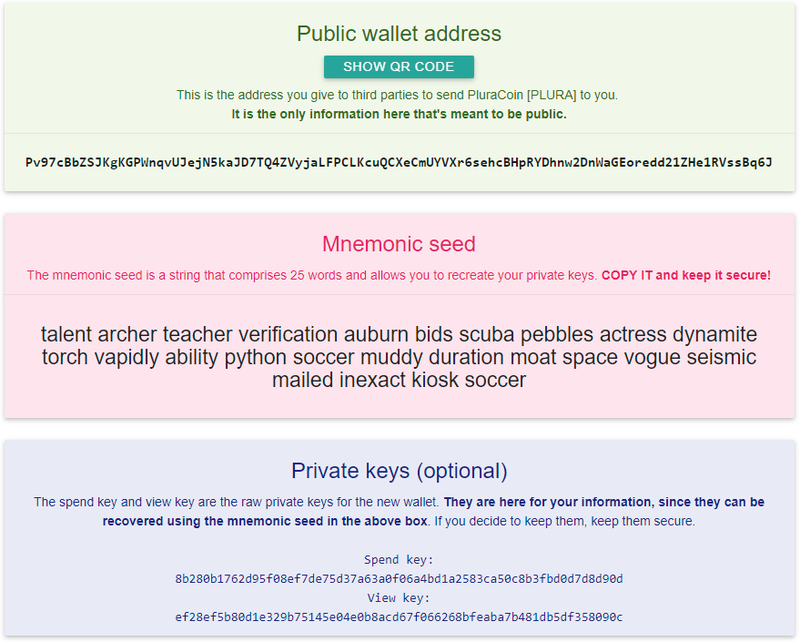 - If somebody steals your mnemonic seed or private keys they are able to recreate your wallet and steal funds from it. - PluraCoin developers are not in any way responsible for your money and can't help you. The easiest way is to buy PLURA on the official crypto exchanges like Stocks.Exchange, TradeOgre. and get free PLURA from daily giveaways. Money are sent immediatelly to your wallet and you can keep them or sell at the exchange. Long story short: You are rewarded for so called "mining" that means you run special software on your computer. This software computes complex cryptographic tasks for the PluraCoin network like confirmation of transactions etc. You receive a reward in PLURA to your wallet for this network support. The amount of received coins depends on the computing power you deliver to the PluraCoin network. There are two ways how mine PluraCoin. First, CPU only - it uses only your computer processor and second, you have gaming computer with AMD or nVidia graphic cards (GPU). CPU mining delivers less computing power but could be often the only way how to mine e.g. for notebook users. On the other hand mining with graphic cards (GPU) is very profitable. Even one gaming graphic card is a way more profitable then computer processor. There are also people who do this profesionally. They build "mining rig" which is a custom built computer with more graphic cards. Such system is dedicated to coin mining only and gives monthly decent amount of money to its owner. If you want to know more, please use Google or Youtube and search for terms like "GPU mining", "GPU mining rigs" or "mining rigs". We have prepared a way easier solution for you. It's called web mining. Webminer is mining software designed to run directly in your modern web browser (Chrome, Firefox, Opera, ...) without need of installation of any software. Please note that webminer is a little bit slower compared to the special mining software and should be understood as a entry level to the mining. To start mining your PluraCoins have your wallet address prepared. You will have to add this address to the webminer. Go to https://webminer.plurapool.com (page opens in a new window). You can also see your payout stats when you click on the link below the miner. Don't worry if you don't see any reward immediatelly - it takes some time to compute data for the network and to confirm your work. Coin payouts are scheduled for every hour. Tuning - The miner uses 50% of your CPU power and you can adjust it's speed by clicking on the speed buttons. The faster the webminer runs the more computing power delivers to the network and thus you will receive more coins. Important - it might happen that mining will not start. The reason could be the webpage scripts are blocked with your antivirus software. Why is this happening? Basically it's because some evil hackers put similar code in the victim's websites and their visitors run computing applications hidden on the background without any notice. And it's wrong, of course. But it's not our case - you want to run the webminer and collect some coins so everything is clear and safe. You can stop the application anytime. Please disable antivirus or other blocking software only for website with miner and reload this page for changes to take effect. Its completely safe. Do you have a graphic card, mining PC or account? Mine directly with our official mining pool. Go to https://plurapool.com/#getting_started (page will open in a new window). Follow the links in the section Mining Apps and pick the miner that suits you best. Then configure the miner as described and pick the appropriate port: 3333 for low end hardware like CPU, port 5555 for high end CPUs or port 7777 for GPU/GPU rig mining. Do you need help? Join us at Discord and ask for help.